Wood, the Aberdeen-headquartered energy and engineering services group, has been appointed to lead a major carbon-capture project aimed at reducing CO2 emissions in the industrial sector. 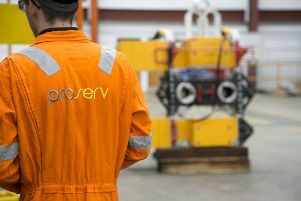 The company has been awarded a multi-million dollar contract by the Oil and Gas Climate Initiative (OGCI), effective immediately, to provide conceptual engineering services for the organisation’s first-of-its-kind carbon-capture project. With the aim of significantly reducing the carbon footprint in the industrial sector, the design will initially target five of the principal industrial emitters of CO2: the production of hydrogen, fertiliser, petrochemicals, cement, and steel. Under the agreement, the exact value of which has not been disclosed, the group’s technology and consulting team will complete engineering and concept design work for a full-scale gas power plant with carbon capture capabilities. The project is commissioned by the Climate Investments fund – worth in excess of $1 billion (£750 million) – which was created by the chief executives of the OGCI. Its goal is to take practical action against climate change by investing in carbon-reducing technologies and business models. Bob MacDonald, chief executive of Wood’s Specialist Technical Solutions arm, said the move illustrated the group’s commitment to tackling climate change. He said: “Wood is delighted to be supporting OGCI Climate Investments on its gas power and industrial carbon capture conceptual design project. Results released last week showed that the group’s operating profit before exceptional items rose by 68 per cent to $357m in 2018.